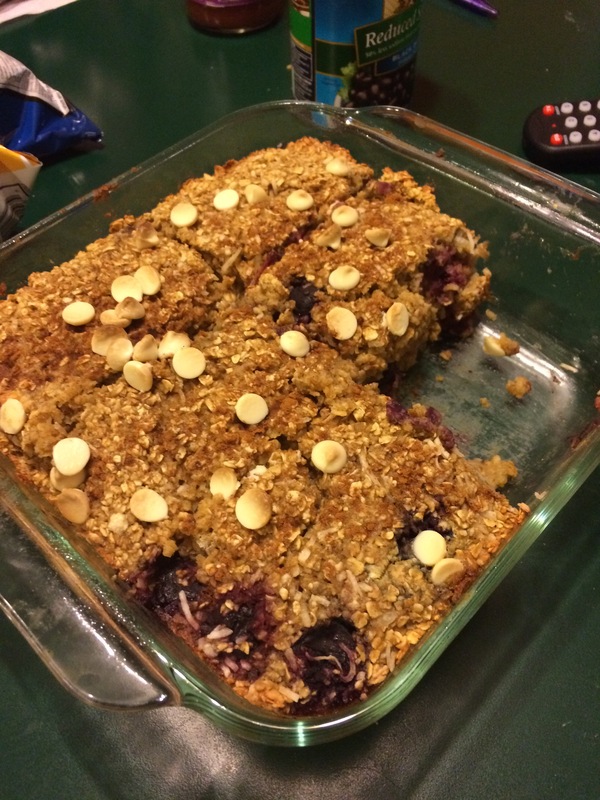 Well, I have this delicious baked oatmeal recipe I have made several times that I make on Sunday and eat each morning for breakfast. Sounds healthy- but it had 1 cup of brown sugar and 1/2 cup butter in it. So, today I made it with Splenda brown sugar blend and unsweetened applesauce instead of butter. Then, I had it for dinner. And, I do declare that it was delicious. It actually tasted the same to me as before. And it knocked off almost 200 calories and I am sure lots of fat! Tomorrow is Monday, and one step closer to summer break. And, I actually think the weather is going to start to get nice! Finally. Have a good Monday! It’s weigh in day 😬😒.